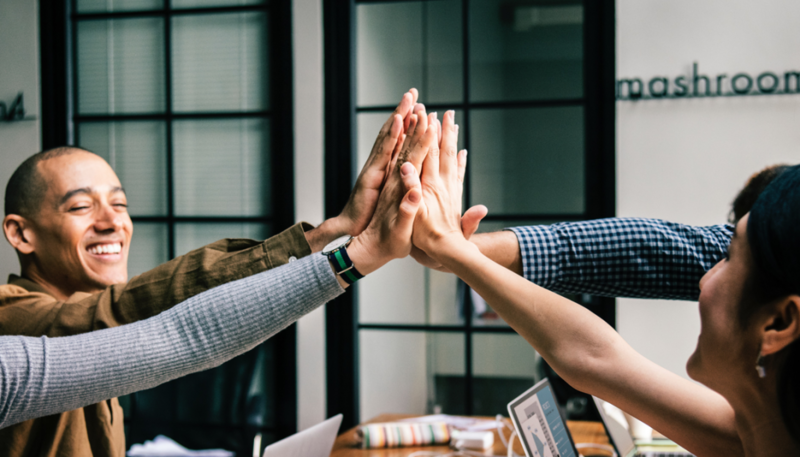 The importance of employee engagement can’t be overstated – employee engagement strategies have been proven to reduce staff turnover, improve productivity and efficiency, retain customers at a higher rate, and make more profits. Most importantly, engaged employees are happier, both at work and in their lives. When you’re engaged, it infuses everything you do with purpose, energy, and enthusiasm. Did you know that more than a quarter of employees are at a high-risk of turnover? What’s worse is that one-third of those at high risk for turnover are talented, motivated employees who exceed performance expectations. They can easily find other positions, and they know it. Research by Glassdoor in 2016 reported that 53% of employees are confident that if they quit or lost their current job, they would be able to find a comparable position within six months. To us, this trend indicates one thing: If you don’t give employees a compelling reason to stay, they’ll find another job that does. When competition for top talent is fierce, and the cost of training new hires is steep, you can’t afford to not engage your employees. Especially when you consider the corollary benefits of innovation, higher profits, and the sheer enjoyment of standing at the helm of a fully engaged workforce. There is a growing number of employee engagement tools out there. However, we have found that many of the approaches that these options take tend to overcomplicate the issues, fail to focus on what really matters, and are cumbersome for all involved, which means they don’t deliver lasting results. If you’ve tried to implement employee engagement strategies to restore disengaged employees in the past, you likely know what we mean. Maybe you sent an annual survey, one which took ages to agree upon and produce, took more time for everyone (or, more likely, a fraction of your office) to complete, and ate yet more time in sifting through the responses and figuring out what to do about them. If you were thinking, “There has to be an easier way” – you were right! We think raising your employee engagement level is relatively simple – no mysterious alchemy required. How do you raise employee engagement? In short, you have to know the basics of how to inspire your workforce and reward their efforts, have a way to measure the results of your actions, and commit to making engagement not just a thing you do, but part of who you are as a company and as CEO (which we call “Chief Engagement Officer”). First, however, let’s take a step back and define engagement so we’re all clear on our objective. Engagement is the ability to be present, focused, and energized. But what it does is even more interesting. Engaged people go above and beyond what is expected of them because they feel part of a purpose larger than themselves. Purpose is the foundation of engagement – it’s the vital element that makes an engaged organization possible and the first step to creating an engaged culture. Read about why so many organizations get this wrong. Connect your staff to an Engaged Purpose that is written for them. An Engaged Purpose is a written statement that clearly communicates to your team what your company does, who for, and why. Many purposes, missions or vision statements are written for everyone but the employees – they’re written for the customers or the shareholders. (And don’t worry, once you have an engaged team, engaged customers naturally follow). Read more about our employee engagement model. Measure engagement regularly. Too often, a company will send out an employee engagement survey report once a year. This means that their employee feedback is likely to only capture the mood of the moment, rather than deliver a helpful picture of engagement throughout the year. Learn more about measuring employee engagement. Show that engagement is a permanent focus, not just a passing trend. Owners and leaders need to be clear and intentional about their commitment to improving engagement and supporting the well-being of their employees. If your employees believe the new engagement program is just the fad of the moment, you run the risk of disengaging them further. Listen to your team on their terms. Provide them with a safe environment and mechanism that enables them to provide insights and feedback confidentially and anonymously. This way, you’ll hear their honest views – not just what they think you want to hear. If they know that engagement is important to you, they will open up with ideas. Learn more about why you need a truly anonymous employee survey. Take action on quick wins. Once your team has given you feedback, use that employee engagement survey report to identify some simple actions you can take to show that participation does, in fact, create change. You’ll get the momentum you need to go after longer-term action plans. Transferable Insight: When it comes to improving employee engagement, ignorance isn’t a strategy. Yet many business owners are surprised at the results they see in their first survey – most expect higher numbers than they find. Surprises don’t end with the numbers, however. Our anonymous survey includes open-ended questions that almost always reveal startling ways companies can improve. 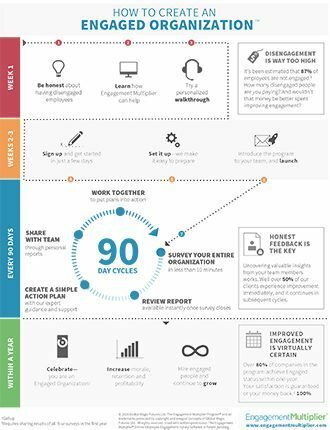 See how our engagement process works (80% of companies in our program achieve Engaged status within one year), or try us out for FREE! No commitment, no credit card. 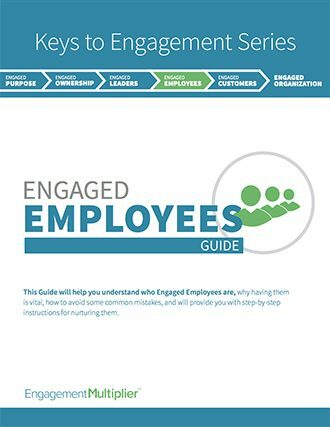 Editor’s note: This article was originally published in August 2016, but has been updated to include the newest data and ideas surrounding employee engagement importance.